Bubbles, Buttons and Bows: Silhouette Sensation! Well , not exactly a sensation but I liked the alliteration! This month at Cards Galore the theme is, "Silhouette" and there is a mystery prize for the winner! This card was made using my cameo Silhouette (appropriate!) I bought the owl file, but designed the rest (frame leaves and branches) myself. I made a round easel card and airbrushed the backgrounds to try and give the effect of a sunset. 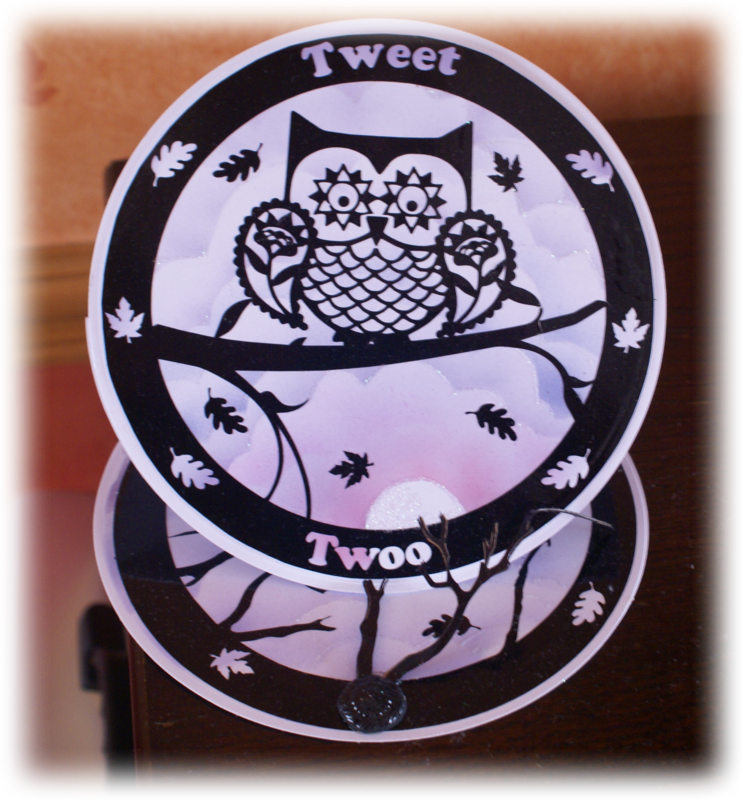 I cut my design on black vinyl and made the embellishment button using a silicone mould and embossing powders. I glittered the "clouds". Finally I cut the branches and used them as a 3 D "stopper" for the easel. White on white with a splash of Colour! Autumn to You Part 2! On to my "Things with Wings" card! All Good things Come in 3's!